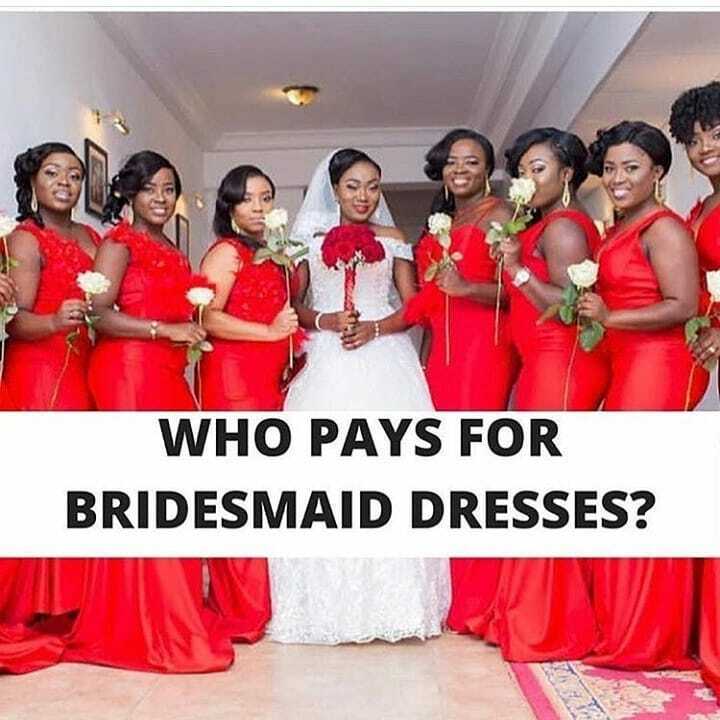 Who Do You Think Should Pay For The #Bridesmaidsdresses? The Bride Or The Bridesmaid(s)? So, This Is A Question Bothering So Many Girlfriends Who Want To Be On Their Friend's Bridal Train". "Who Do You Think Should Pay For The #Bridesmaidsdresses?"